When you live an active lifestyle, it’s imperative that you a) don’t bang on about it all the time, b) always have an emergency banana in your bag, and c) invest in a decent pair of wireless in-ears that aren’t going to pop out or flood with your sweat. 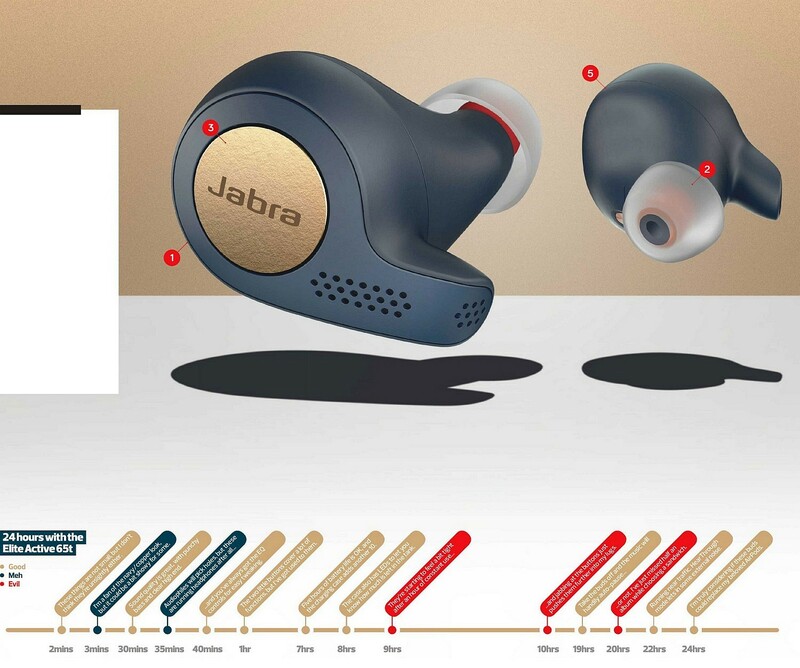 It’s fair to say Jabra’s totally wire-free Elite Active 65t are up to the task; but these clever buds have a lot more going for them than just the basics. Their audio performance can be tweaked to your liking, there are built-in accelerometers for tracking steps, and your voice assistant of choice can be summoned mid-run at the touch of a button.